Tanushree Dutta, most remembered for Aashiq Banaya Aapne, was MIA in Bollywood since almost a decade. 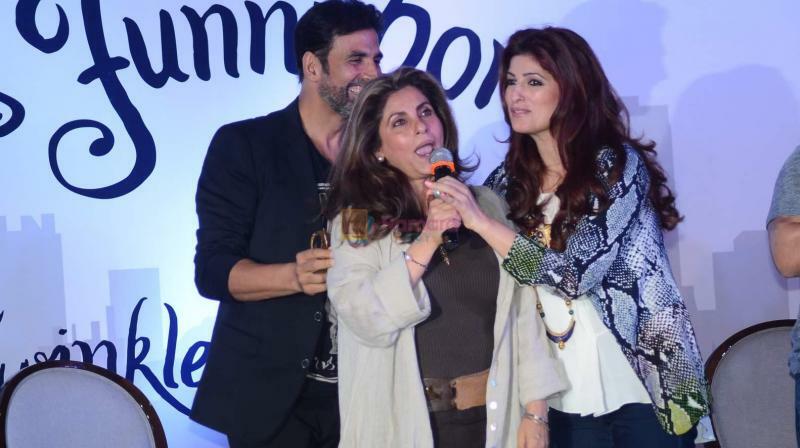 Akshay Kumar, Dimple Kapadia and Twinkle Khanna at the latter's book launch. Tanushree Dutta, most remembered for her bold role in Aashiq Banaya Aapne with Emraan Hashmi, was missing in action in Bollywood since almost a decade. She had come back from her USA holiday when she was asked about working in the industry again, which is when she revealed the incident which firstly made her quit India altogether! Tanushree, who was going to be part of a supposed ‘solo’ item song, claims she was mistreated by actor Nana Patekar, choreographer Ganesh Acharya and the director-producer of film Horn Ok Please. Tanushree refused to be touched inappropriately by Nana and thus left the shoot, after which a mob attacked her car, where her parents were also seated, the actress has gone on record to say. She has often requested people to condemn the act of giving actors like Nana Patekar work. 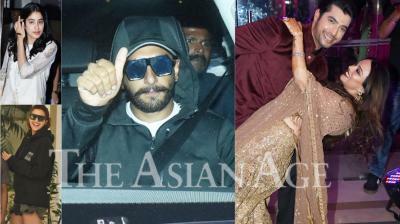 But Nana, who has established himself in the industry, receives work with superstars like Rajinikanth and Akshay Kumar. Akshay has currently casted him in Housefull 4 too, which Tanushree for obvious reasons is not very pleased with. However Akshay’s wife Twinkle Khanna has come out in support of the actress by tweeting, "Please read this thread before judging or shaming #TanushreeDutta a working environment without harassment and intimidation is a fundamental right and by speaking up this brave woman helps pave the way towards that very goal for all of us!" 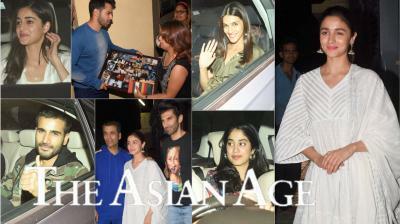 It is also at this very time that Twinkle’s mother Dimple Kapadia’s video from 2010 has gone viral. In the video, Dimple has gone on to say, "As far as his talent goes, there's no match to him. He is an extremely talented man. When I see talent like him, sau khoon maaf hai. Sab kuch maaf hai. Meri jaan bhi lelo. (When I see talent like him, 100 murders are forgiven. Everything can be forgiven. Take my life too). That's the effect he has on me. But, as a person, with me he has been very, very nice, kind and a good friend. But I have also seen his dark side. We all have a dark side which is nicely and safely kept aside." Tanushree has also claimed that many actresses have called her personally to narrate their similar experiences with Nana. Dimple appears to be one of the actresses who too has seen the evil side of the veteran actor. Anupam Kher, Shah Rukh Khan's cute Twitter banter will remind you of 'DDLJ' days!